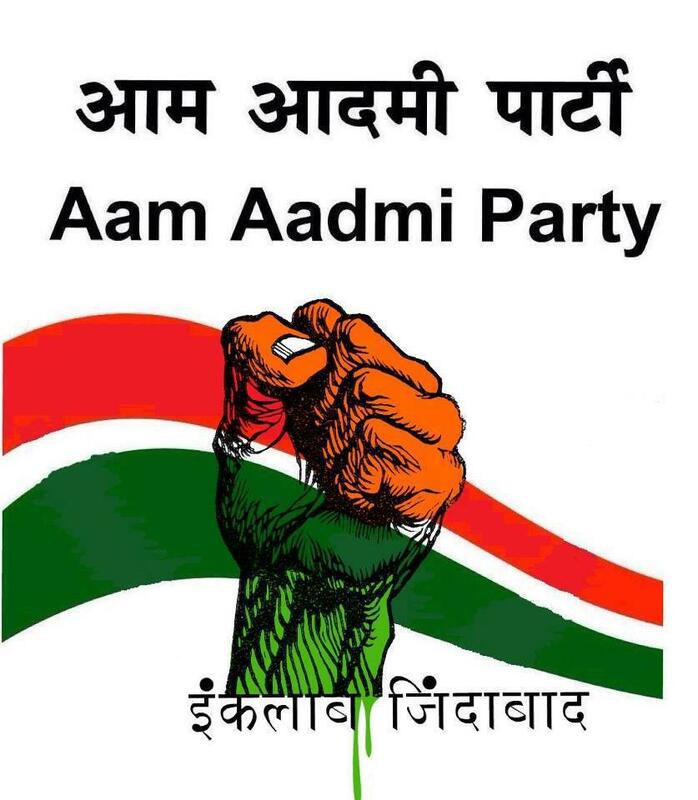 Aam Aadmi Party – My Decision to Support……. Finally Kejriwal and the Aam Aadmi Party has embarked on the next leg in their political Journey with actual power at their disposal…. 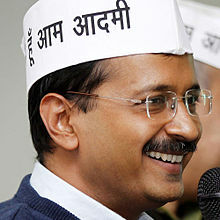 If you heard Kejriwal make his address during the trust vote in the Delhi parliament you would have got a glimpse of the Indian youth addressing to a crew of politicians whose expiry dates have been long overdue and some were even on life support systems, sleeping and unable to keep up with the change around them and the questions shot at them…. Whatever said and done….when you think that a party symbolized as being backed by the common man has gained a victory in Indian politics it is indeed a great feeling…… But we have even before seen parties purely belonging to the common man come to power and then get lost somewhere in time…. So it is also true that this victory is not everything….. Politics, democracy and nation building is a whole different ball game than an initial victory…. As a mere observer living outside the country I have seen a huge support from people here many of whom had even relinquished their Indian citizenship long back and would not even be able to cast a vote supporting the party…. but they were all gungho about AAP…. And when I look back the anti-corruption slogan that AAP raised and the fact that there should be a new generation youth blood into politics was probably the prominent reasons…..
Over time I have felt a burst of hope when I see new faces enter politics… Though supporting congress was never an option even in my wildest dreams I appreciated Tharoor’s entry into politics…. but then over a short time he savagely ripped off the hopes for the non-congress public…..
You will also see that when people come up with new ideas there are many who have been deep rooted in the throne of power who find every reason to belittle them… and to support this belittlement people from the intelligentsia who also team up with reasons to doubt someone at every walk… that is a norm…. There is a story about a guy who had a dog that could walk on water…. The whole world applauded at the feat and then one day a cynic saw this feat and came up to the guy and said but sir… your dog cannot swim…. So you cynics who think yourself to be too smart sitting in you’re air conditioned rooms and making comments on twitter and other media… give the guy sometime… let his team move forward a bit… what he and his party has achieved till now is commendable and we all need to give him the chance to perform…..
Another argument is that people in AAP don’t have much prior political experience….. But that is in one way the whole point here… we want to get rid of dynasties in democracy…. I would agree that inexperience has its issues…. but the team of non elected people that form the huge governance engine is what matters… that is what runs the whole show… and if AAP is able to pull this together such a dedicated, uncorrupt team then the charismatic young, honest and so called inexperienced can move mountains in the right direction…. There is another outcry now about Kejriwal’s official two 5 bedroom houses that he has been allocated… Also about the cars his team are assigned… what the heck is your problem…. Do you want these guys to govern, work and make a difference or you want more hurdles before them….. Anyway seems Kejriwal has decided not to take the 5 bed room flat… but seems he was living in a 4 bedroom flat…. not sure if what the opposition wants is for Kejriwal to move to a one bedroom apartment leaving his existing 4 bedroom…. I personally don’t think there is anything wrong in having an official vehicle or an official residence that makes them govern better…. They are now people in power and have the power to make a difference and it demands they live differently to be fully effective…. Accept it… people blame it as if the earlier politicians use to live in rented apartments and walk to their offices…. Give me a break….. stop being childish and accept the fact as it is…. There are people who spit after losing a fight… these arguments are nothing different from that…. India is a country that has given birth to excellence in all walks of life since a very very long time…. Education, Research, Engineering, Medicine, Philosophers, Politics and more…. The pop culture notion that India has not moved an inch since its independence is an absolute farce…. yes India has its problems like any other country has… and we know corruption in politics and other Government establishments is one of them….. But the biggest problem is when people only talk about these issues but use the corrupt system to get their way through for personal gains…. from land dealings to even getting a game ticket where people use money, bribes and contacts that will allow them to get ahead in the line where the common man stands and waits…. that attitude is our killer…..
No politician no political system, no leader, no party can change that unless we decide that we will not give in to this corrupt system… and will do so even at a personal loss…. Until the day comes when we are ready to sacrifice our personal gains to uphold our non-alignment with a corrupt system nothing will change… we will have people come and go… parties change… but we will remain stubborn with our selfish interests and just cheer as one of the hidden public faces…..
As I was writing this I kept asking myself the question “Should I support…? Should I Join…? “Should I donate…. ?” I could not justify a NO answer to any of the questions…. so I decide to put in my full support to AAP in their efforts to bring the common man’s voice to the parliament….